Have you ever done a search online for keywords related to your local photography business and found the results to be less than encouraging? If your business isn’t showing up anywhere on the first few Search Engine Results Pages (SERP) for keywords relevant to your business, then you already know how difficult it is for your potential customers to find you as well. And if your business isn’t showing up on search engines, then it has a direct impact on your revenue. This, in short, is the best reason for you to invest time into your business’ Search Engine Optimization strategy. As we have covered in our previous articles on SEO, optimizing your website is all about improving your site and its content to provide trustworthy answers and good experiences for your potential clients’ burning queries. Part of that equation is understanding how search engines work. Once you have a handle on what a search engine wants from your site, it’s important to determine your ideal client and then create a digital marketing strategy that takes these factors into account. Up until now we have gone over the basic principles of what we will call “traditional SEO,” and the main focus of traditional SEO is to rank higher on the SERPs for strategic keywords. While ranking for keywords is important to all business owners, for brick and mortar photography studios your biggest goal is to get foot traffic and what Sue Bryce calls “bums in seats.” This is where a Local SEO strategy becomes an important facet of your digital marketing plan. While with local SEO you will also want to rank for strategy keywords, the focus is more on providing the searcher with results that are relevant to their current location or services that are local to the area they are searching in. While in decades past, people might have searched the yellow pages for services, today most people search for businesses through Google and other search engines. Search engines have responded to this behavior by providing rich information about services in response to locally based queries. Local search results often take the form of Map Packs that include business names, addresses, phone numbers (often referred to in SEO as NAP), business hours and reviews. Therefore, the search engine results page will look very different for a local search query versus something that might be deemed a more “traditional SEO” query. 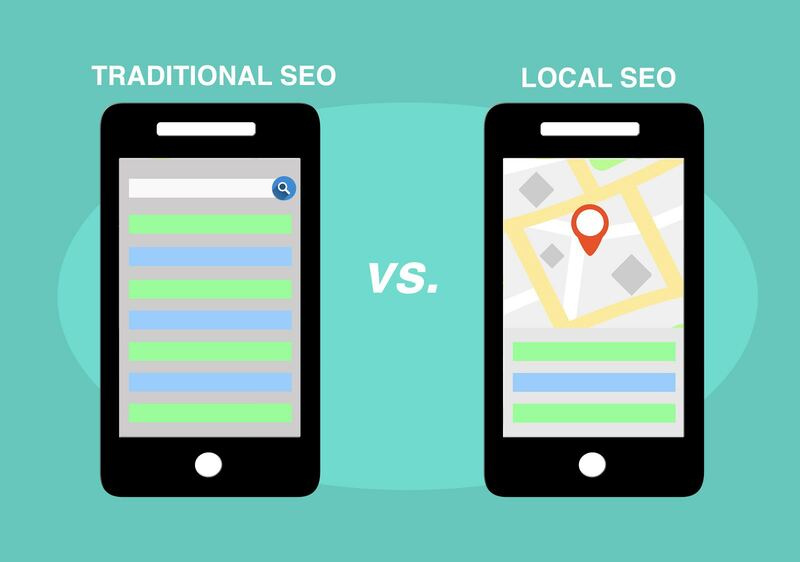 What’s the difference between a “traditional SEO” and a “local SEO” query, you ask? Well, think back to the last time you turned to Google looking for what to do about dinner. If you needed help planning the night’s menu, your search would have been much different than if you had been looking for a place to go out to dine. 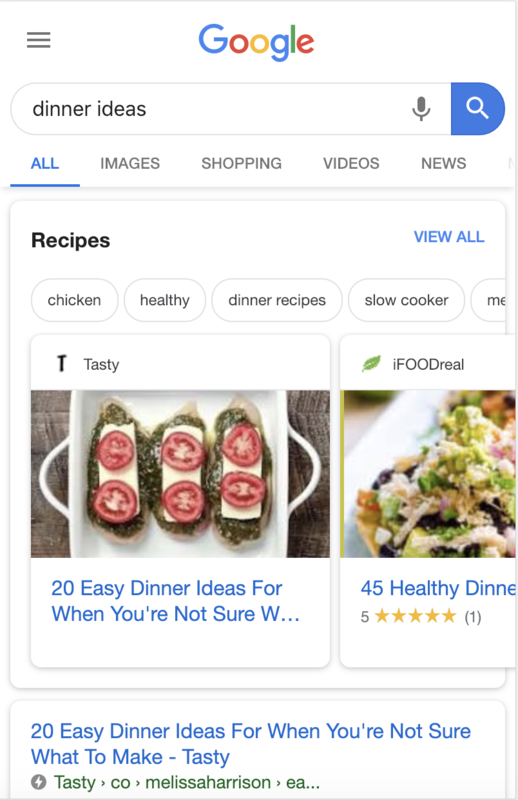 If you just want some inspiration on what to cook, you might Google “dinner ideas.” Whereas if you need to know where you might get some yummy takeout, you want to know what businesses are open that are close by. So in that latter example, you might search “places to eat near me open.” Because search engines are smart enough now to understand that your intent is different for each query, you will get radically different results. 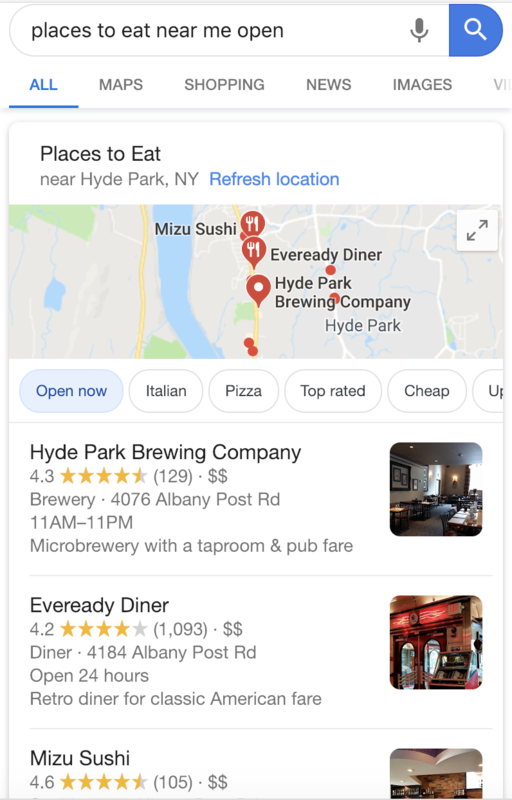 When you search “places to eat near me open,” Google will look at your location and give you localized results with addresses, hours, price points, and reviews. These same ideas hold true within the photography industry. 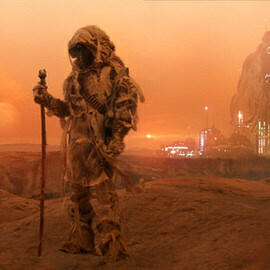 Depending on what the search engine perceives as the user intent, different results will be served. Let’s take the queries “family photography ideas” versus “family photographer near me.” These are two very different queries, with very different intents. And if you’ve been following along in our series so far, you also know that these searches fall into two very different parts of the customer journey. 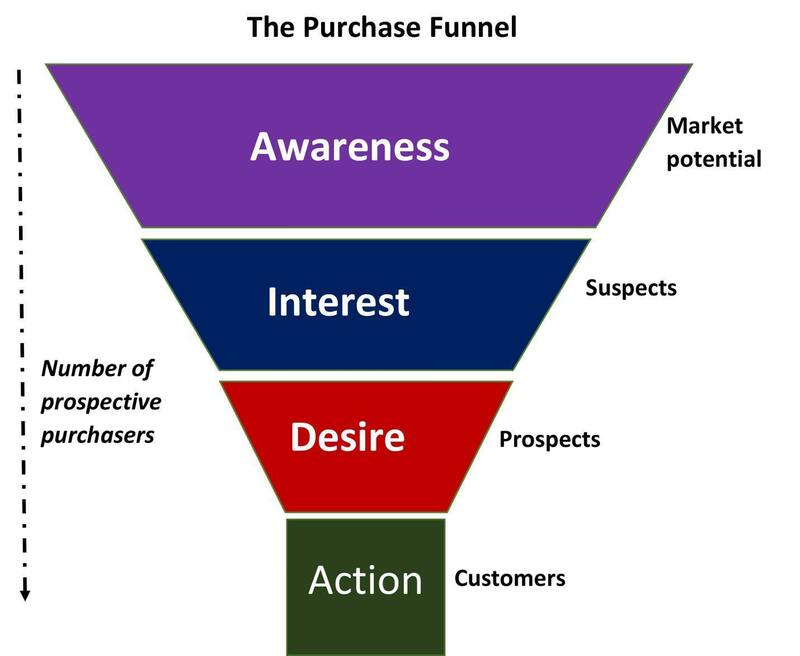 If you think back to the purchase funnel we discussed in Creating a Digital Marketing Strategy for Your Photography Business: Part 1, “family photography ideas” is much more of an Awareness stage query, whereas “family photographers near me” indicates that this is probably a Desire or Action stage query before someone is ready to book. Search engines have learned the difference, and just as in our dinner example, the SERPs are tailored to those intents and funnel stages. 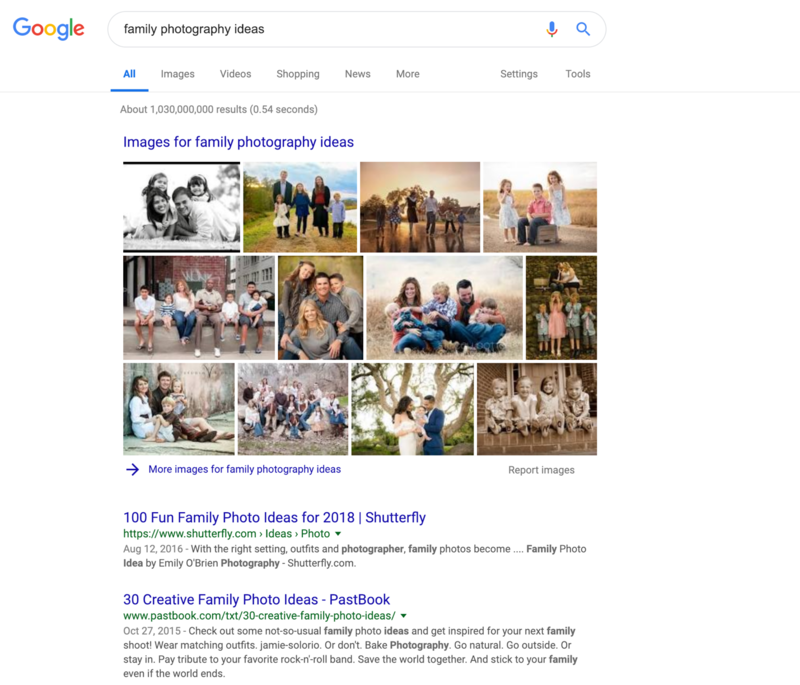 In the “family photography ideas” query, the results are image-heavy to inspire searches, and the SERP also features articles that compile ideas. On-Page Optimization – techniques to make it easy for search engines to understand what your site is about. Content – blog posts, images and videos on your site. Links – both the links pointing to your site and the websites you link to. On-Page Local Optimization – techniques that help search engines understand where you are, such as your name, address and phone (NAP) on your site. Local Listings and Citations – Google My Business and your local chamber of commerce is a great place to start. 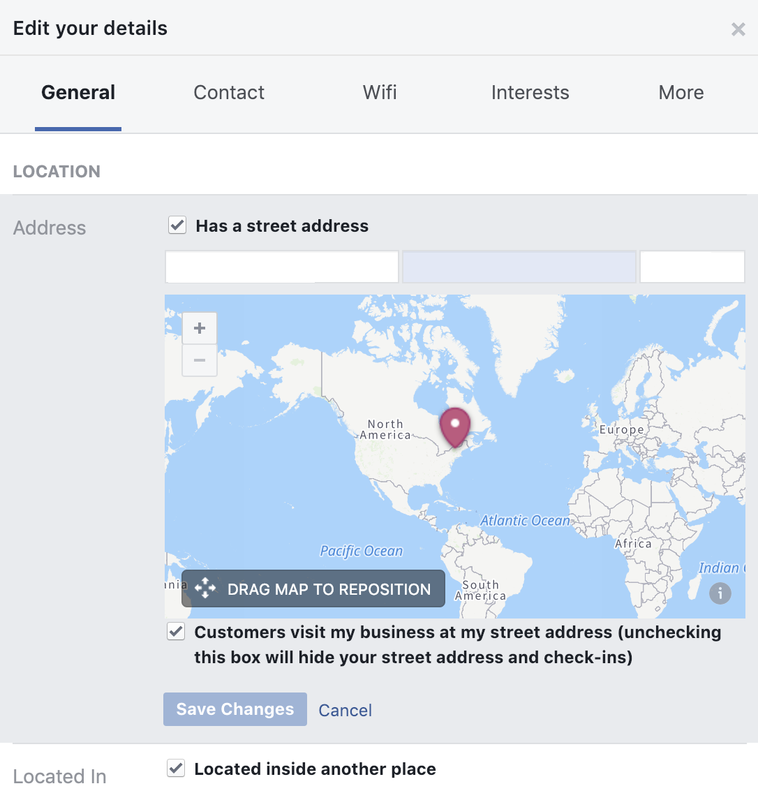 Sites such as Yelp, Foursquare and even Facebook also help give search engines information about your business and its location. Just remember to keep your NAP consistent across these listings. Bonus: HubSpot has a comprehensive listing of 57 local business directories here. 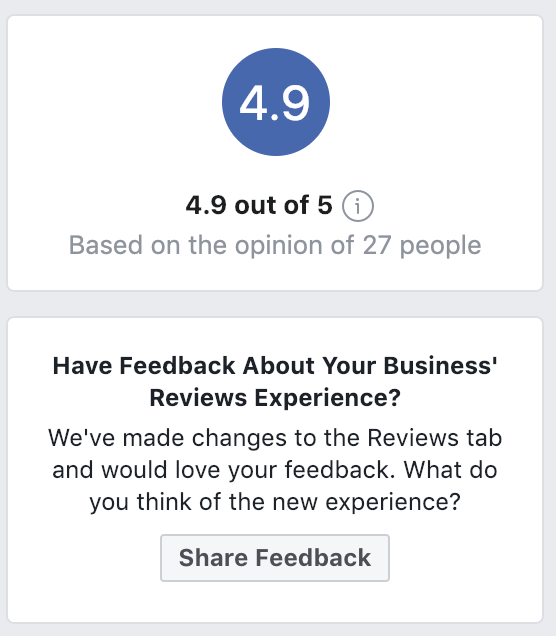 Online Reviews – in the Google Map Pack you’ll notice that reviews are given a prominent position, which helps encourage consumer confidence and create higher click-through rates on the results. 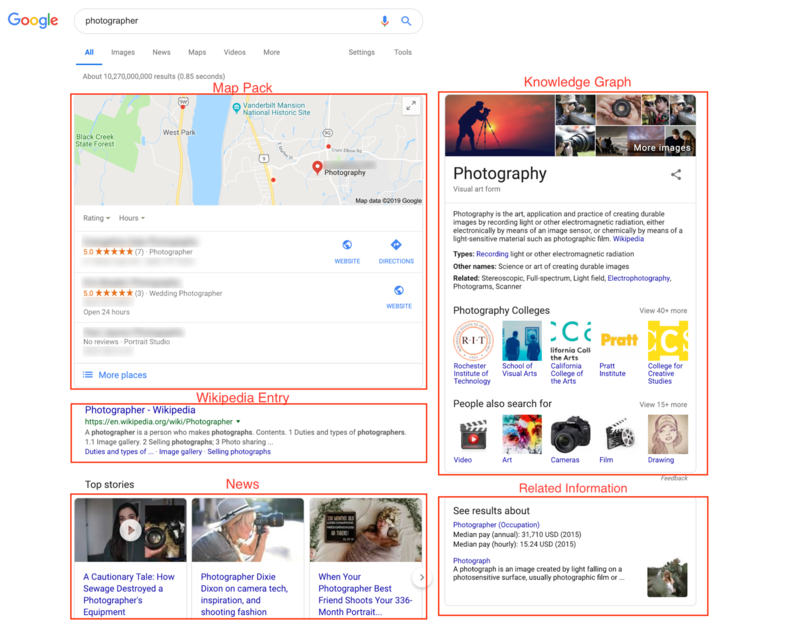 Google is currently ranking the results by the number of reviews they have, and lets you know where they are located and their contact information (we’ve blurred it for the sake of this article), as well as their hours. The result is also letting users know that each site mentions something relevant to their query, whether it’s family photography or newborn photography. So these business owners have been able to give Google this information about their businesses by utilizing on-page optimization, local citations and reviews! The first area of our local SEO strategy we are going to focus on is the basics of on-page optimization. Much of this is similar to the kinds of optimizations we focused on in our SEO Starter Guide, but this will have a local spin. To start, make sure that you have your business’s location on your site. You can include this information in your footer, but it also helps to have a dedicated contact page! Not only does this make it easier for people to contact you and book your services, but it makes it easier for search engines to understand where you are located. Including your email address can also be helpful. 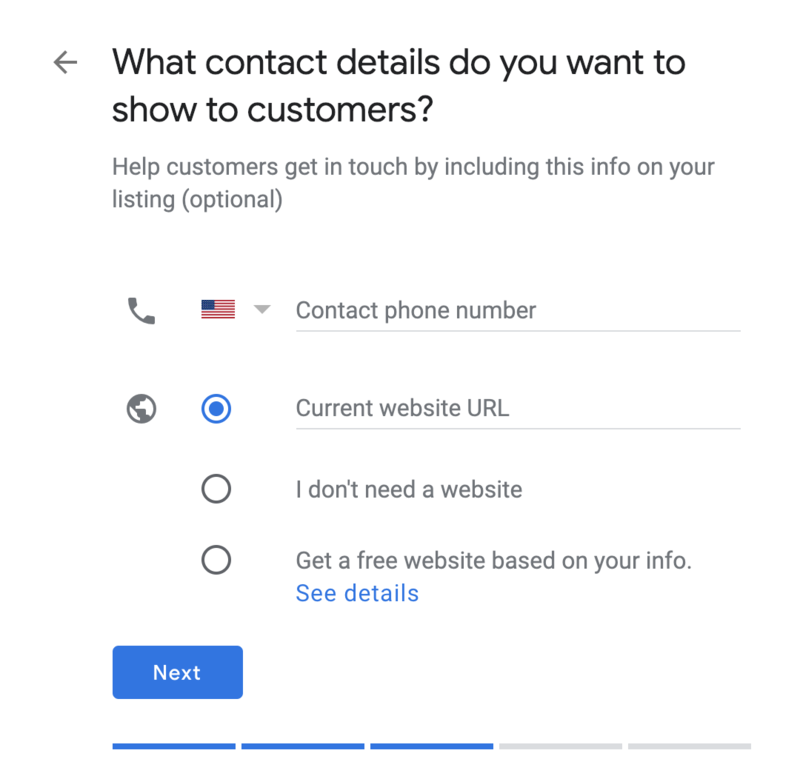 If your site allows for your phone number to be clickable on mobile, then make sure that is enabled so that a user on their phone can click to call. If your website template offers the option, you can even add a map to your contact page. 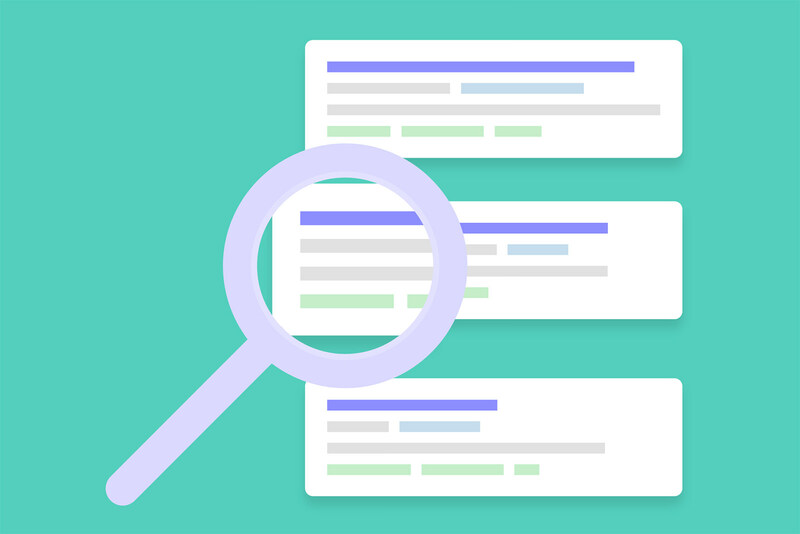 If you’ve been following along in our series, then you’ve probably already been thinking about what keywords you want to utilize in your SEO strategy. The sweet spot for trying to rank for any kind of keyword, whether you’re focusing on traditional or local SEO, is to utilize keywords that have decent search volume with low competition. So depending on your local market, ranking for just the term photographer might be very difficult. Our takeaway here is to think about more niche keywords that have the potential to be more relevant and less competitive. Start with keywords that your clients are already looking for, and give them a local focus. 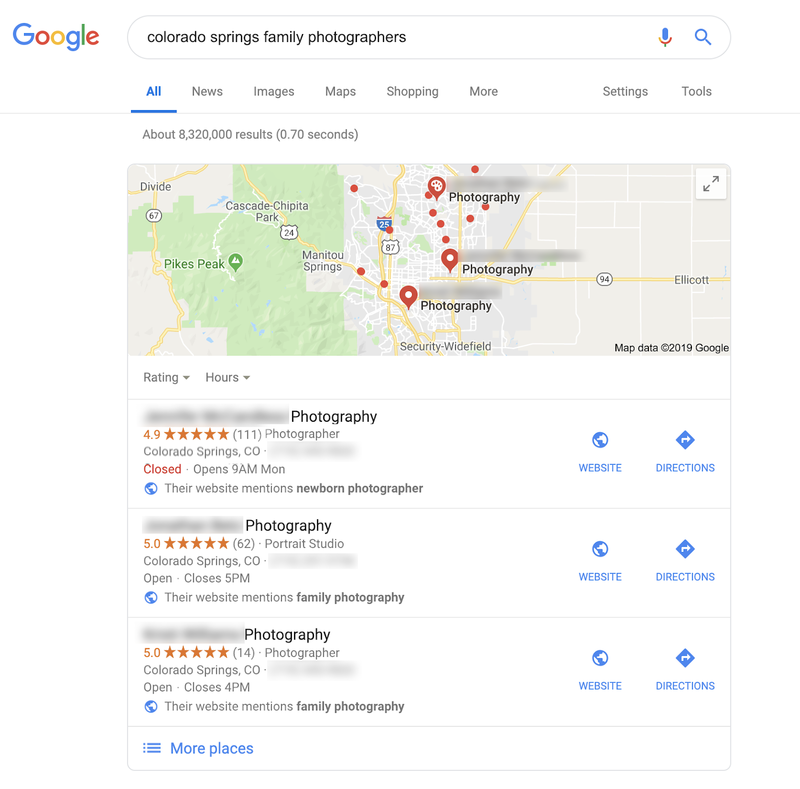 Think back to our example of “family photographer in Colorado Springs.” By strategically employing these keywords in your page titles, meta descriptions and image alt tags, you can help search engines understand where your business is located, along with the kinds of services you provide. When using highly targeted, niche keyword phrases, use them in the URL as you name your page. Keep in mind that if you live in a large and highly competitive market, it can take at least a year or more of concerted effort to start seeing results and begin being shown on the first page of a search engine. For example, a headshot photographer in Los Angeles or New York City will probably have more competition on their keywords than in a smaller, lower volume market. With these larger markets, you might even find more success by being neighborhood or borough specific with your keyword strategies. While you may still want to make efforts towards the larger market keywords, you may find earlier success by targeting hyper localized keywords like Brooklyn Headshot Photographer or even Park Slope Headshot Photographer, versus New York City Headshot Photographer. 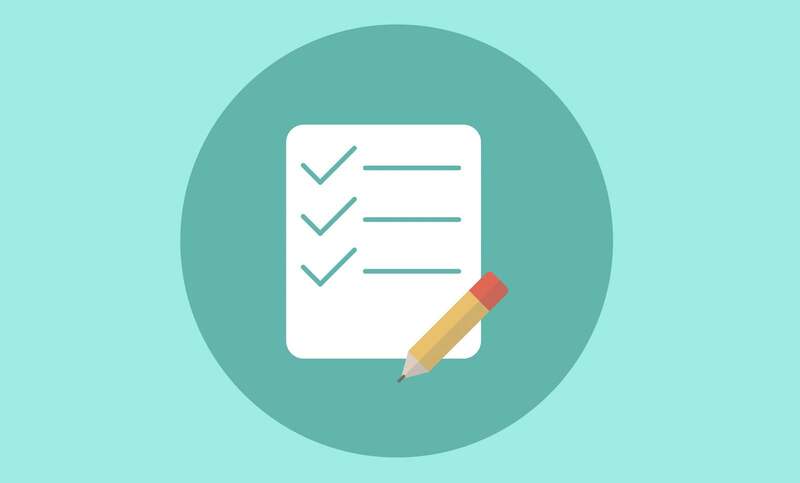 Begin by creating a list of terms or phrases associated with your business services. Remember, our goal isn’t to rank for a keyword like photographer. Instead, try to think of longer tail keywords, which means keyword phrases that are three to five words long. The best way for you to begin is to put yourself in your client’s shoes. Ask yourself what they are looking for when searching for services like yours. Remember, we might describe ourselves differently than our clients do. Someone looking for newborn photography might be more likely to search for a family photographer. If your business is made up of website branding photography, your clients may still be looking for a portrait or corporate headshot photographer. Write down these short phrases about the products you offer and about your location. It can help to research your competitors and see what keywords they are utilizing on their pages, as well as what businesses are currently ranking for keywords that are relevant to your services. Using Google, begin to type in the keywords on your list and pay special attention to the autocomplete suggestions that Google offers. These suggestions might give you additional inspiration for relevant keywords you hadn’t considered. If they work for your business then add them to your list! Another place to get ideas for your keyword research is at the bottom of the Google SERP page. Remember how we looked at the bottom of the page for the term “photographer”? For every search, Google provides a list of related terms at the bottom of the SERP. So type in a query and then scroll to the bottom of Google’s search results. Take a look at the list of suggestions for searches relevant to your business. If any of the suggestions are relevant then add them to your list. 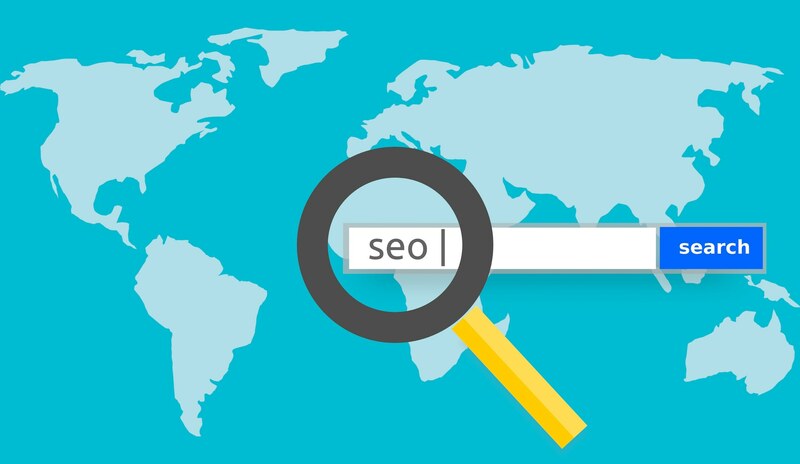 Now that you have a solid list of localized keywords, you can strategically deploy them in the content on your website’s pages. 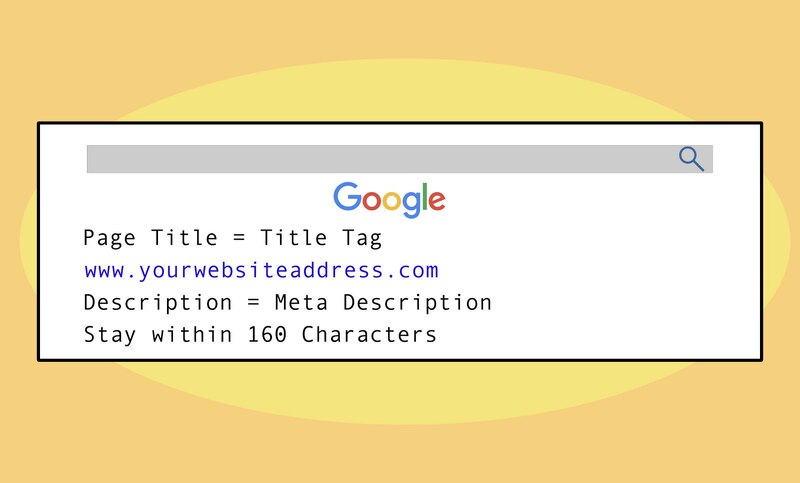 We will talk more about your content strategy in another article, but for now make sure that your keywords are used in your URLS, Titles, Meta Descriptions, Image Alt Tags and naturally within your page content! Advanced Bonus: If you’re interested in doing some advanced on-page optimization, you can add Schema markup to your pages. Schema markup is code that you put on your website to help search engines give more detailed information about your business to users. By adding the right Schema markup for local businesses to your website, you’re letting Google know that you’re a local business and not a large brand, which can help to boost your local rankings. If your site is hosted on a platform like WordPress or Squarespace, this can be done relatively easily either with a plugin or by following Google’s guide. To make this process easier, you can use the Hall Analysis or the Schema App generator. However, there are a number of template-based website services out there that don’t easily allow you to add custom code, so check with your website service provider before investing too much time in this advanced technique. The next step in your Local SEO strategy is to get a few of your local listings and citations up. 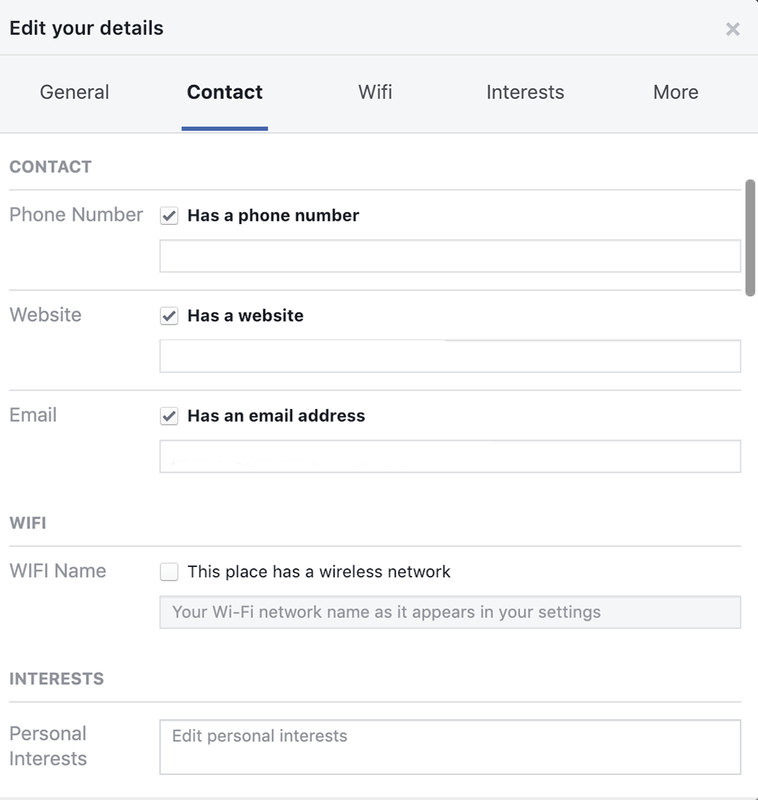 If you haven’t already claimed your profiles on Facebook and Yelp, I suggest doing so. Remember, your NAP needs to be consistent across these profiles! Below we are going to focus on Google My Business and Bing Places setup. 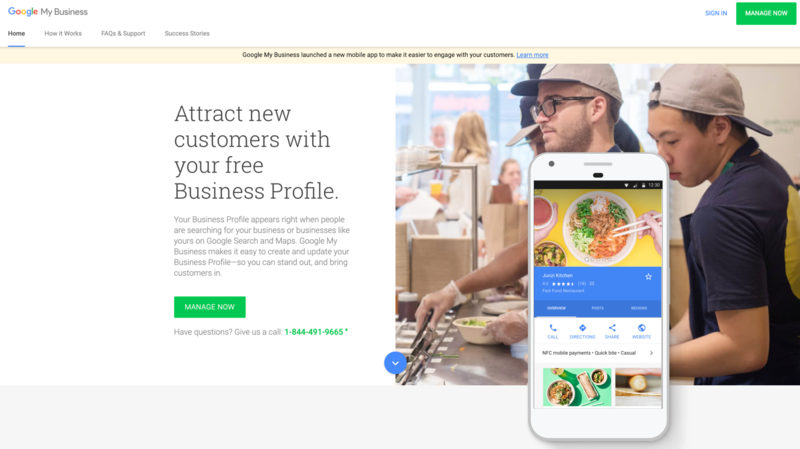 Google My Business is completely free to use and is going to help you manage how your business appears on the Google search engine. The only requirement for using it is that you must have some face-to-face interaction with your customers – meaning that your business cannot be completely online-based. If you don’t have a studio and work mostly on location, that’s ok! You’ll be able to use your home address and will be able to hide it if you’d rather it not appear in search results. Step 1: Either log into the Google Account you want to associate with your business or create a new one if you haven’t already established a Google Account. Step 4: Enter the address of your business. Step 5: If you go to your customers’ homes to do photoshoots or deliver albums and other products, check off “I deliver goods and services to my customers.” If you work out of a home studio and want to hide your address, you can check off “Hide my address.” However, if you have a storefront studio, I don’t recommend this option. 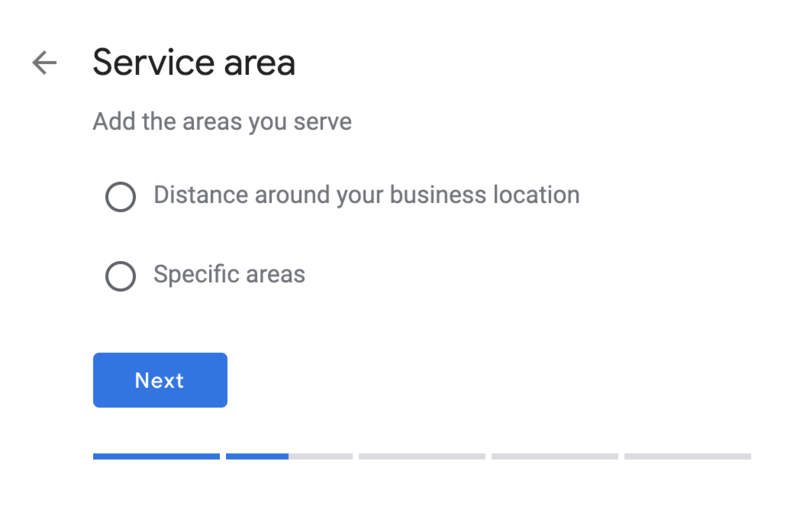 Step 6: Select your service area, which can be done either by selecting a radius around your business, or by selecting specific areas that you serve. Step 7: Select your business category. 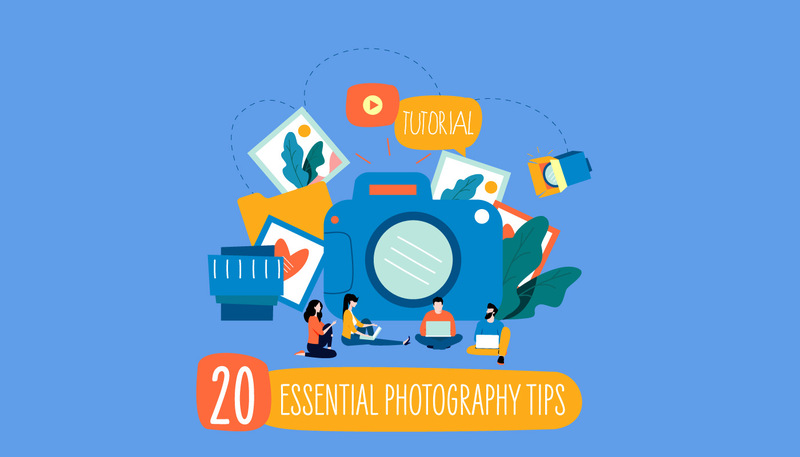 There are a number of relevant ones for the photography industry, so choose the one that best fits your services. Step 8: Add your contact details. Step 9: Click “Finish” and choose a verification option. Most businesses are only eligible to be verified by a mailed postcard, so make sure that you can receive mail at your business location. Postcards can take up to five days to arrive. Don’t edit your business name, address, or category or request a new code before the postcard comes. 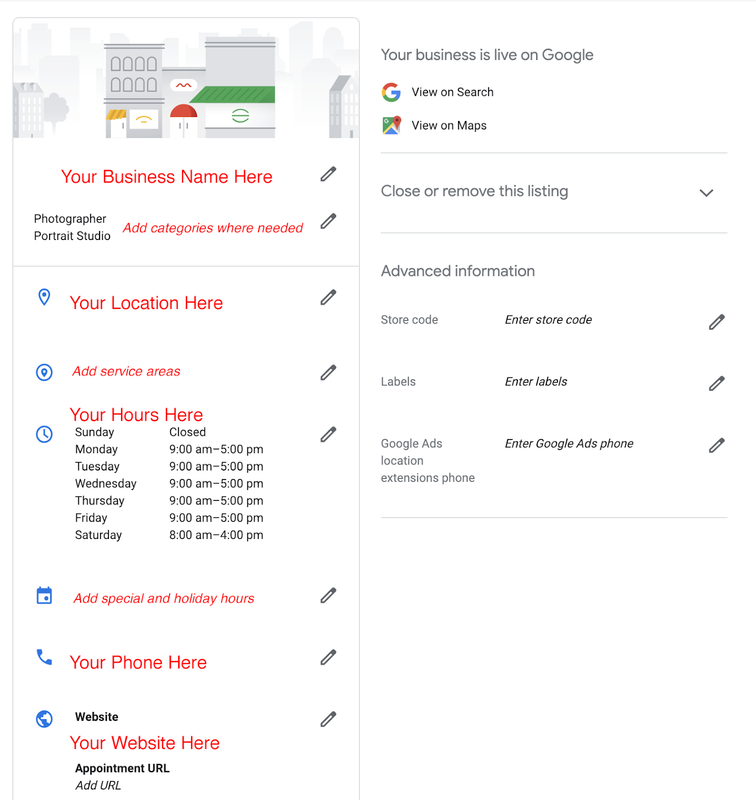 Once you have verified your business, you can begin to fill out more information about your company and manage its appearance on Google My Business. 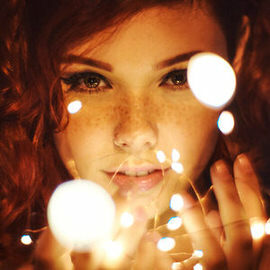 Within your profile, add as much information as you can. Make sure that you add a business profile photo, the areas you serve, your business hours, any attributes like “handicapped parking” or “wheelchair accessible,” a public phone number and your website URL. Make sure to add photos that show off your business, as these will appear in the SERP when people search for your business. According to Google, businesses with photos see 35 percent more clicks to their website and 42 percent more requests for driving directions in Google Maps. 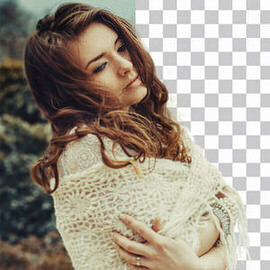 Your photos will need to be at least 720px on the longest side, and jpg or png files. The two most important photos on your profile will be your cover photo and your profile photo. However, keep in mind that customers can add their own photos as well. According to Google, your profile picture is what will show your identity when you make a post or respond to a review. The cover photo is your preferred photo to be shown on your listing in the search results and on the map. Remember, Google will optimize for whichever photo it thinks showcases your business the best, so the more relevant images you add, the more control you have over how your listing will look. 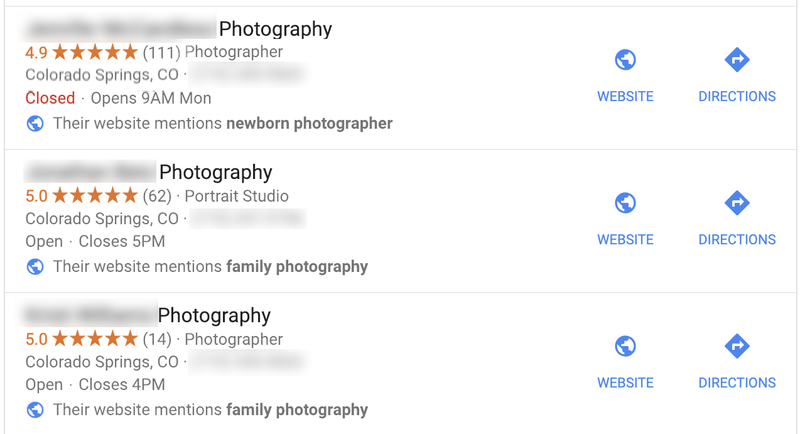 Along with your profile and cover photo, Google has a list of recommended photo types to help showcase your business. While videos can make you stand out among other local businesses, they’re not a must-have, so don’t worry if you have nothing to upload. Now that you have a Google My Business profile set up, be sure to encourage your customers to leave positive reviews! Always respond to your reviews, as this can help encourage other future customers to share their great experiences as well. If you have a negative review, always respond in the most courteous way possible. This can help potential clients see that you go the extra mile to stay professional and make sure that everyone has a good experience with your services. 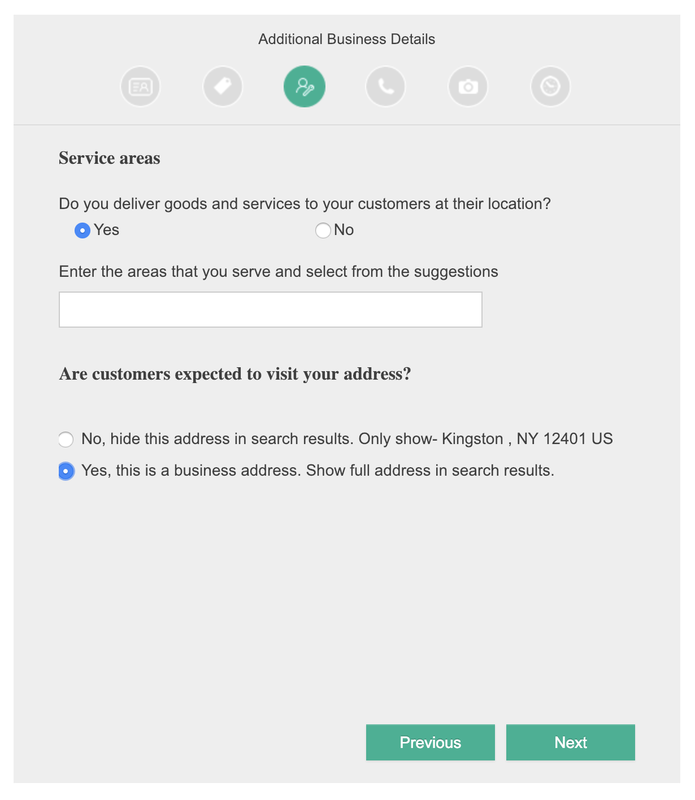 Bing Places is the Google My Business counterpart for the Bing search engine. While Bing doesn’t have the same market share as Google, it’s still wise to claim your listing as Bing is the default search engine for some browsers. 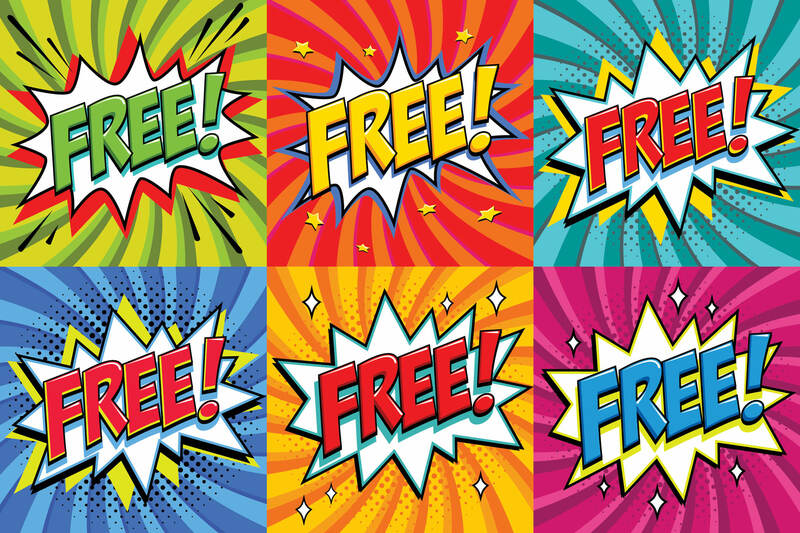 Step 1: To claim your free Bing Places listing, go to https://www.bingplaces.com/. Step 2: Click on “New User” if this is the first time you’re setting up your listing. 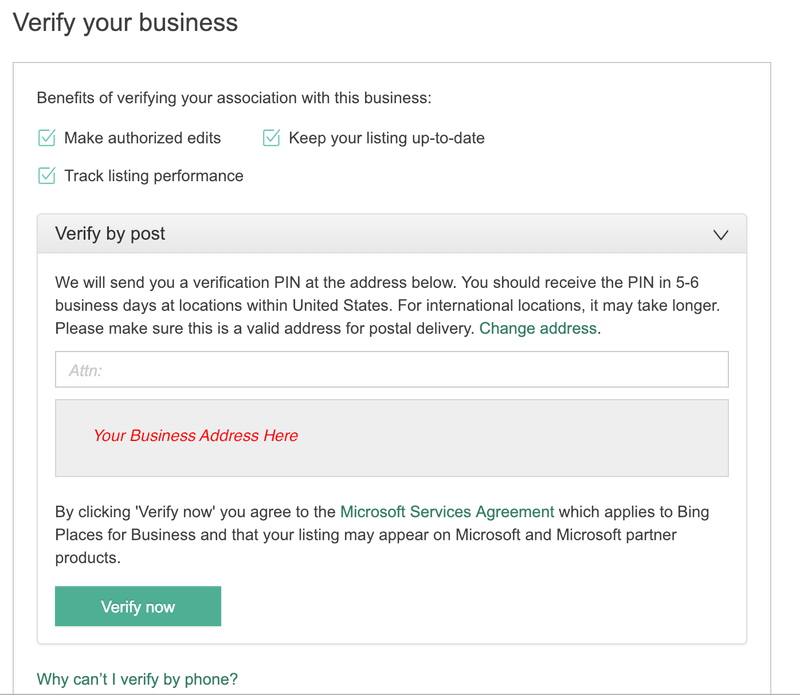 If you’re still waiting for your verification postcard, you can hold off on your Bing Places setup, or continue the process manually. For this walkthrough we will use manual setup. Step 4: Choose your business type and size. 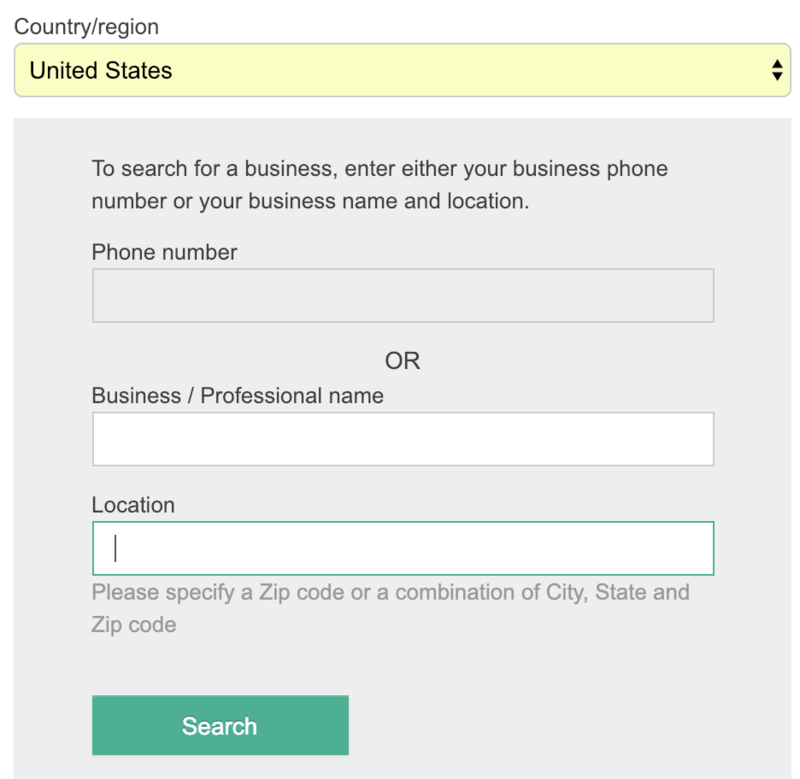 Step 5: Enter your business information to begin a search. Step 6: Fill out the basic information for your business. Step 7: Describe your business. Step 8: List your service area. Step 9: List your contact information. Add photos of your business interior (for example, your seating arrangement). This can help customers know what to expect when they enter your business. Add photos of specific services. Add photos of awards or events. Step 11: Add your business hours and any special holiday hours you might have. 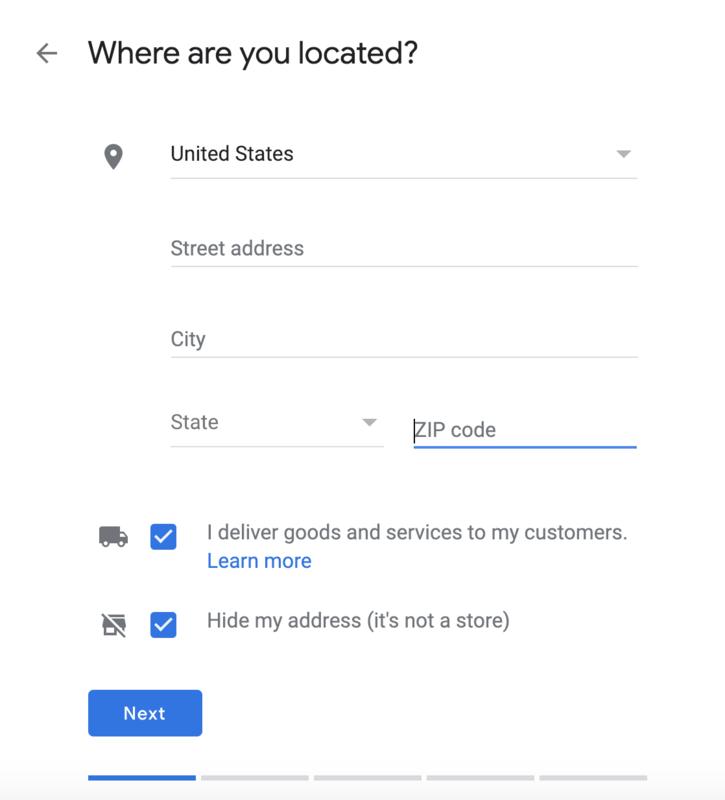 Step 12: As with Google My Business, you will need to verify your business with a code sent via a postcard. 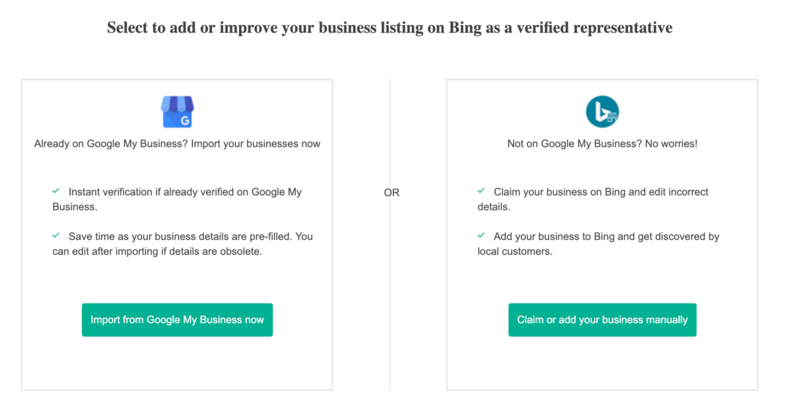 Once you’ve received your code, you can log back into Bing Places and verify your business with the code you were sent. Having optimized profiles can help increase traffic to your website! We will talk more about social media in an upcoming article, but for now make sure that you have claimed the relevant social media profiles for your business and updated them with the correct NAP where possible! Now that you have a list of localized keywords that you’re ready to implement in your page data and in your website content and you’ve claimed your Google My Business, Bing Places and social accounts, you’re well on your way to being able to show up for localized searches. From here, don’t forget to look into the other sites that can help you with your Local SEO. So, take some time to claim your listings on relevant directory sites. Remember to keep your name, address and phone number consistent! Beyond simple citations and your basic business info, local SEO is highly connected to how you interact with your community – both online and offline. You can look for niche local sites in your area and think about fun ways you might be able to have your business featured on them, or ways that your business might contribute to them. Perhaps you could write a blog post for them and have them link back to your website. 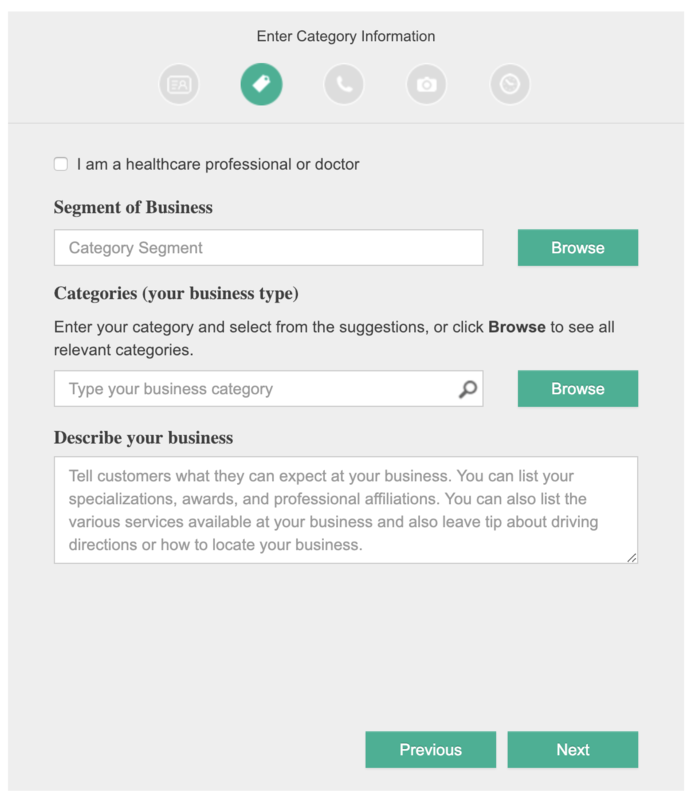 Or if local sites feature business owners, find out what you would need to be profiled. This is also a great opportunity to get out into the community, get involved and network with other businesses and causes that you care about. We will talk more about content and networking in a future article. But just know that the more other local businesses share about you on social media and link back to your website, the better your local SEO will be. 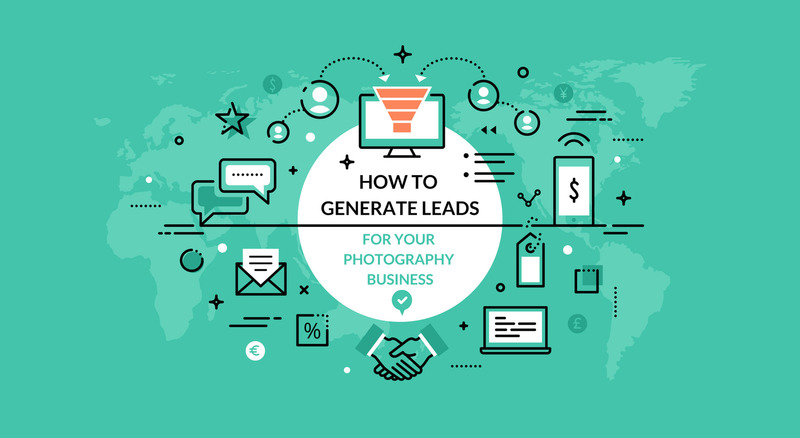 Customers will be able to find you more easily, and your efforts to become involved in your community at a local level will pay off in a solid reputation, great reviews, and a thriving photography business!